Looking for the perfect holiday destination for honeymoon & holidays? Search no more. 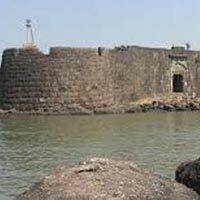 With Maharashtra honeymoon tour package, you can assure yourself with a romantic and exotic honeymoon. This package by Indian Holiday has been specifically designed to brighten up those special moments with your partner. Amid destinations like Mumbai, Lonavala, Khandala, Panchgani, Mahabaleshwar and Alibagh, we promise you to give tons of memories which you will cherish for a lifetime. As you arrive in the Mumbai city which never sleeps, meet our Shatakshi Group representative who will help you take a transfer to the hotel. Mumbai has all of it, right from beaches to Bollywood. So, spend the entire day sightseeing at the captivating attractions of the place. You can visit the Gateway of India- Mumbai’s most recognized monument built long back in 1924, Prince of Wales Museum Known for its astounding architecture & Marine Drive- A beautiful beach offering a great sunset view & tasty finger food. Return back to the hotel & stay overnight. Day 2nd it’s time to head towards the next destination, Lonavala. 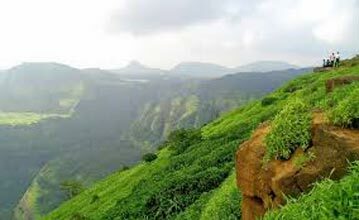 Lonavala is a beautiful hill station which is known for its natural beauty, pleasant climate and unexplored tourists spots such as Karla Caves, Bhaja Caves and Lohagad Fort. En-route visit Khandala which is nestled between beautiful valleys. Enjoy breathtaking views of the serene lakes and hills with your partner & capture some memorable moments. On reaching Lonavala, check in to the hotel and stay overnight. Day 3rd there is a lot more to come in the following days! After having your healthy breakfast, leave for Panchgani which redefines beauty in a unique manner. Spend some special time with your loved one at the scenic spots of the place which promise to leave you spellbound. Enjoy boating at Dhom Dam and view the beautiful backdrop of the Sydney Point and Bhilar Waterfalls. Have a comfortable stay at night in the hotel. Day 4th after your healthy breakfast proceed to Mahabaleshwar, your next destination awaits you with a beautiful climate and breathtaking sights. After you leave for Mahabaleshwar, enjoy the beautiful sights en-route and let the wavy winds passing by, make your souls intermingle with each other. After reaching your destination, check-in to the hotel. Refresh yourself for a sightseeing tour. Visit Chinaman’s Falls which offer an incredible sight of flowing water, the Pratapgarh Fort which was built back in 1856 and Helen’s Point which provides a fascinating background. Stay overnight at the hotel. Day 5th after your healthy breakfast, leave for your last destination, Alibagh. The place offers a green and lively atmosphere which will make this a complete holiday. On reaching Alibagh, go out for sightseeing at Kihim and Varsoli Beach where you can spend some great time with your partner. You can enjoy water sports at Nagaon which is a few kms from the place. Stay overnight at the hotel. And time to bid farewell to this beautiful journey! Head towards Mumbai airport/ railway station & take back your lovely memories. Destinations Covered : Ahmednagar, Lonavala, Mumbai, Nashik, Pa..